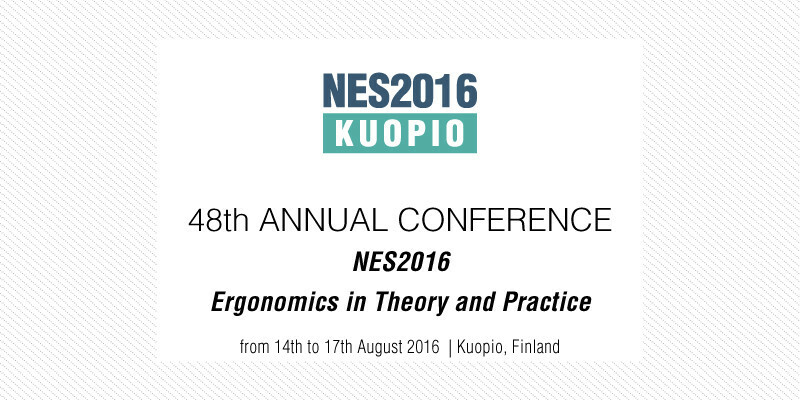 NES2016 conference brings together researchers and practitioners with an interest in the field of ergonomics and human factors and occupational health. This facilitates sharing of experiences and results that help the development of research, work and ideas, the formation of networks as well as increasing the quality of the joint fields of ergonomics and human factors and occupational health. You are invited to submit your abstract for an oral or poster presentation. Abstracts within the listed topics are particularly welcome. Abstracts should not exceed 400 words. Abstracts will be reviewed by International Scientific Advisory Board.